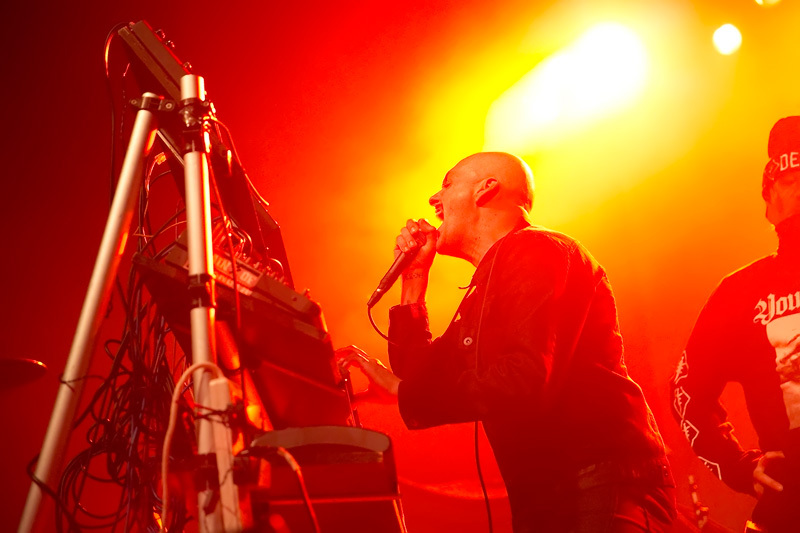 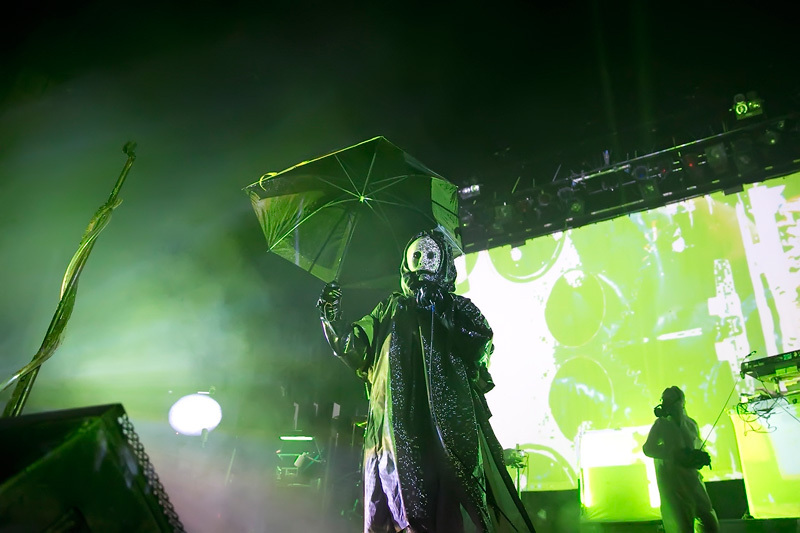 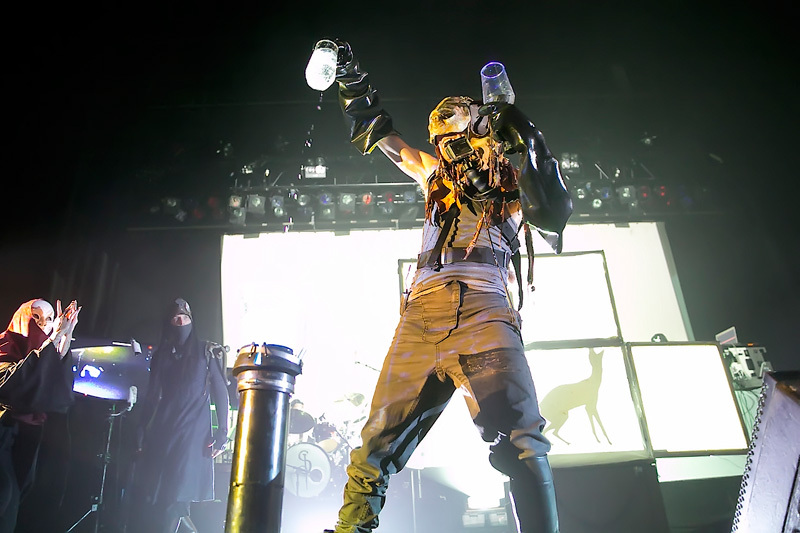 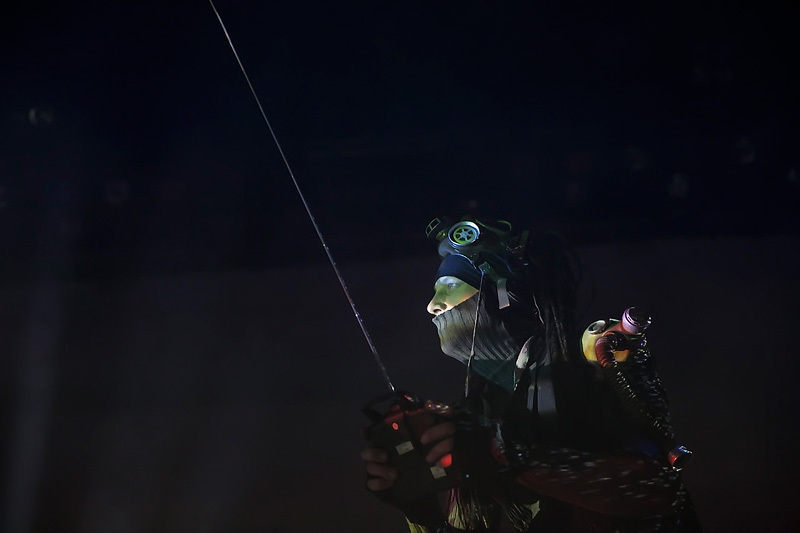 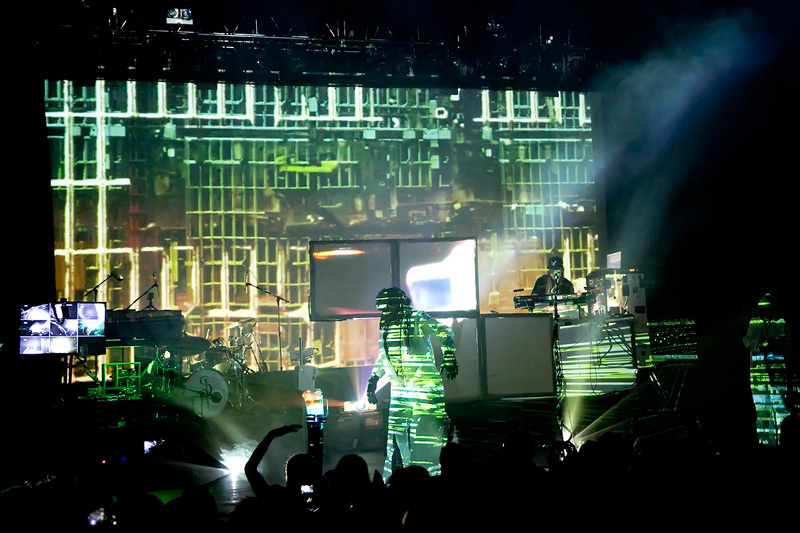 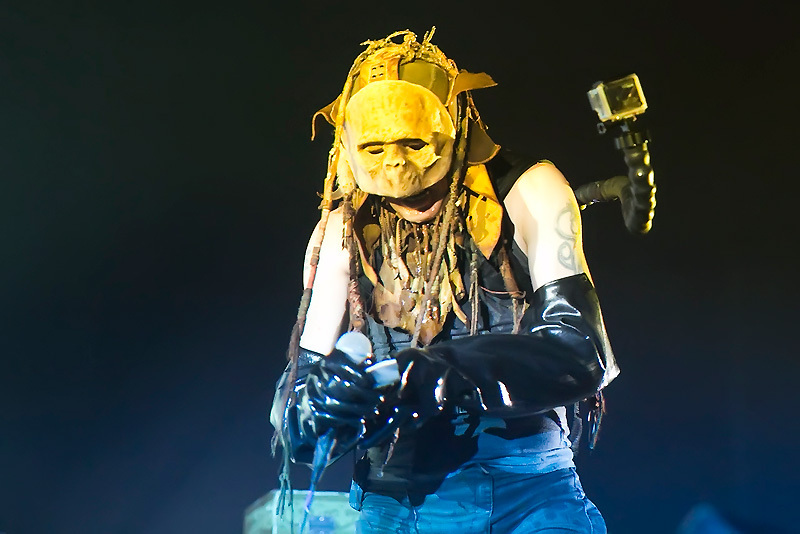 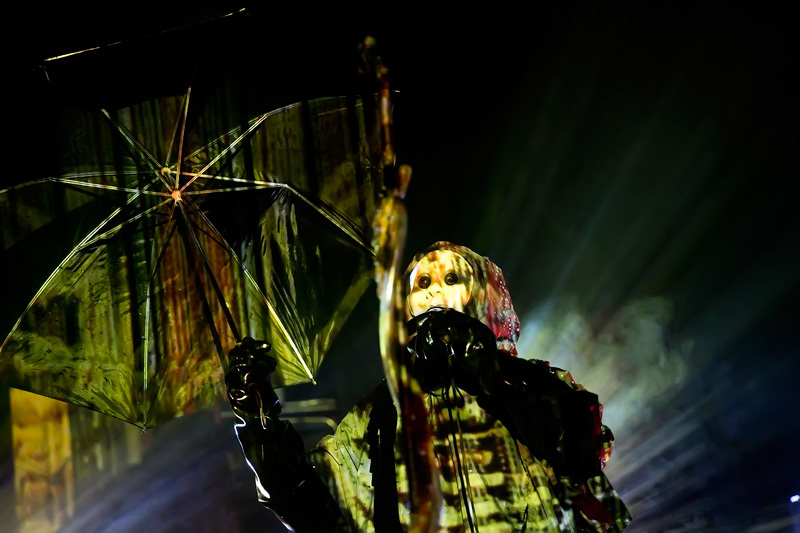 Industrial rockers Skinny Puppy, with Front Line Assemmbly, Haujobb, Youth Code, at The Warfield Theater, on their Eye vs. Spy Tour. 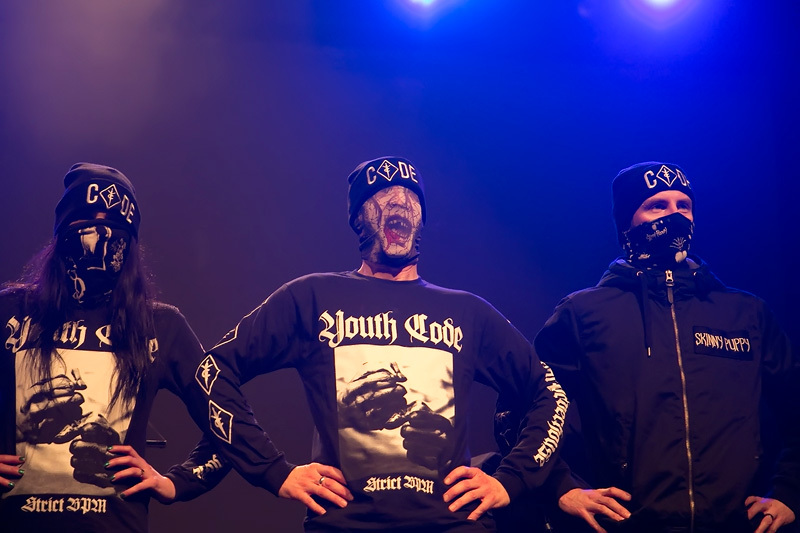 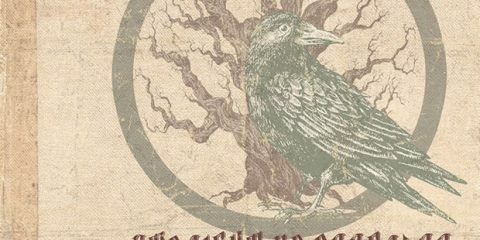 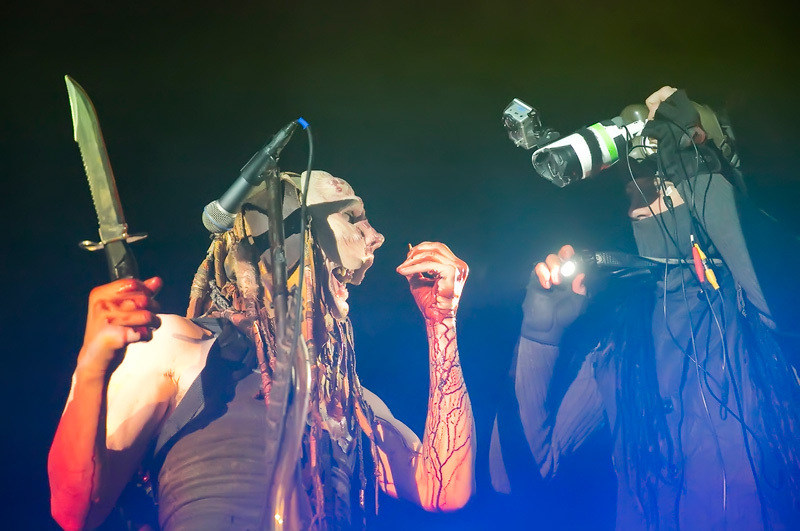 Skinny Puppy recently finished their Eye vs. Spy tour with Front Line Assemmbly, Haujobb, Youth Code. 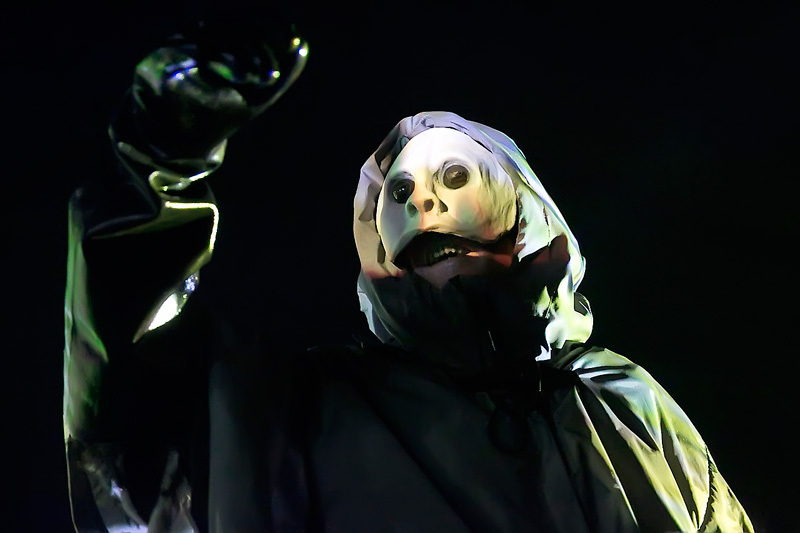 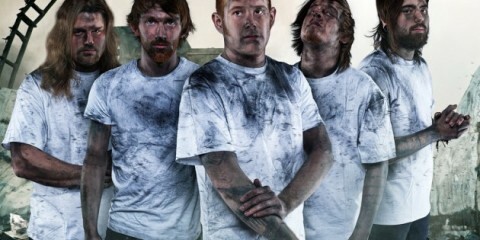 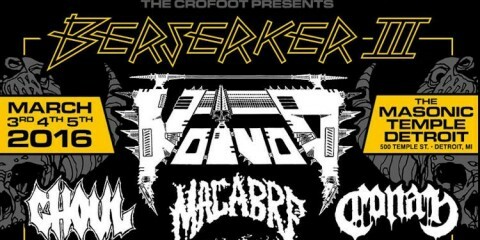 Their tour consisted of 15 U.S. dates and two Canadian stops. 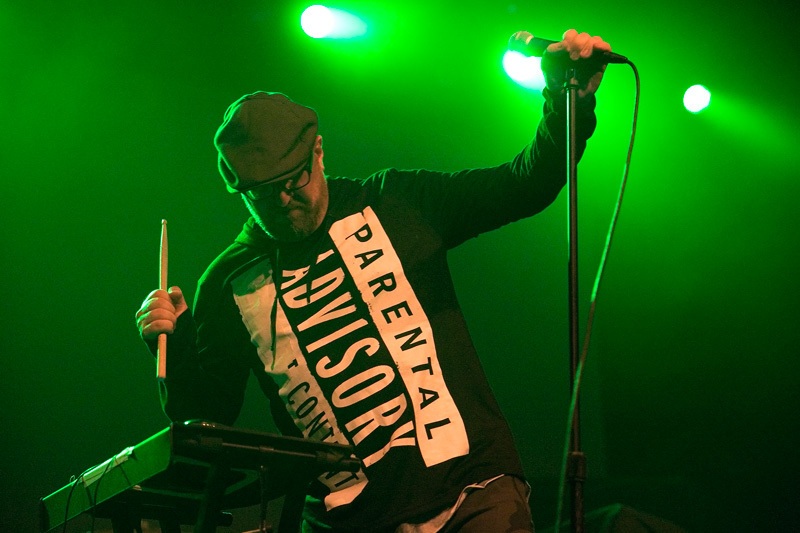 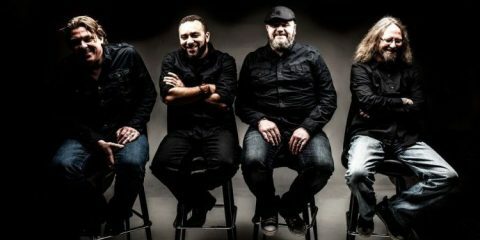 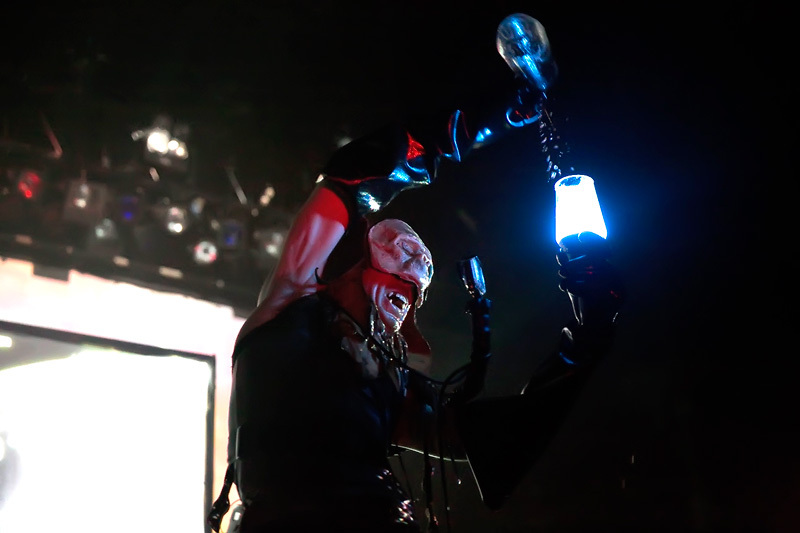 VNV nation had to pull out of the tour last minute due to, “a problematic situation,” but this lead to Front Line Assembly taking the place. 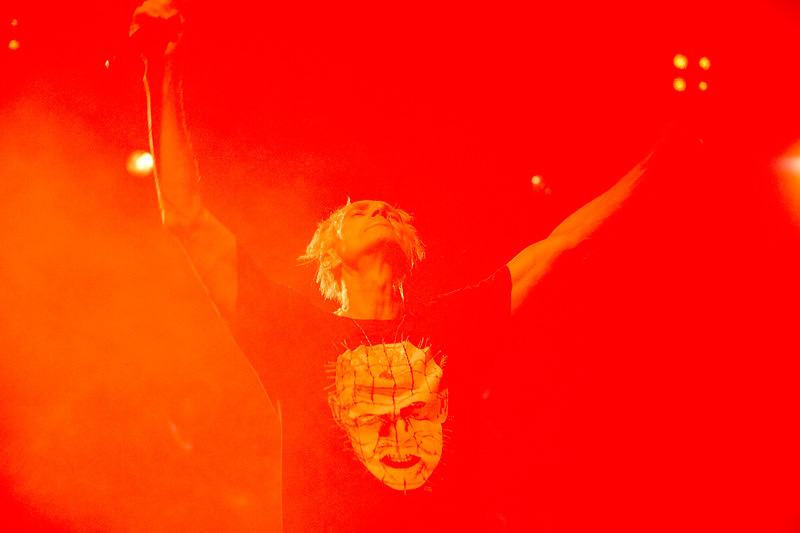 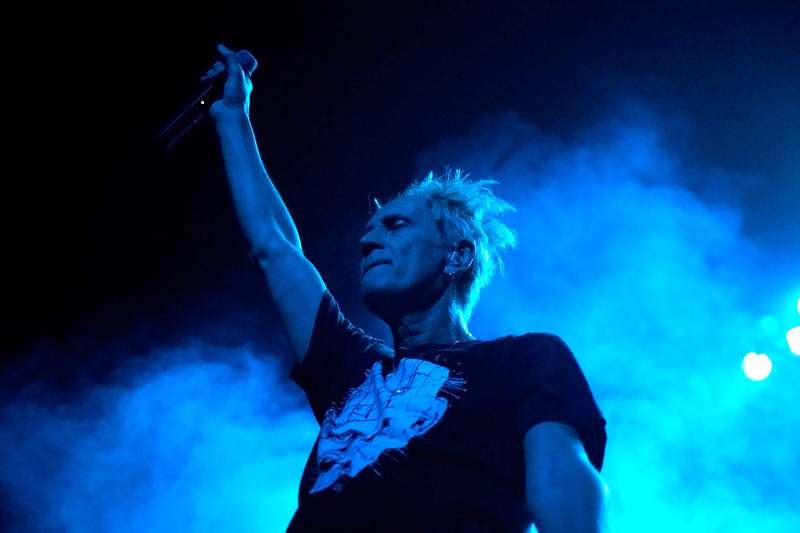 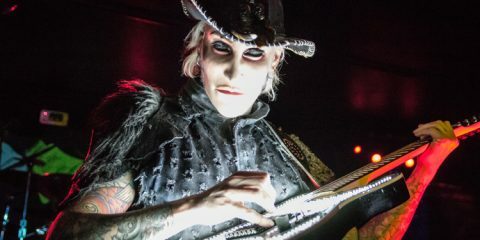 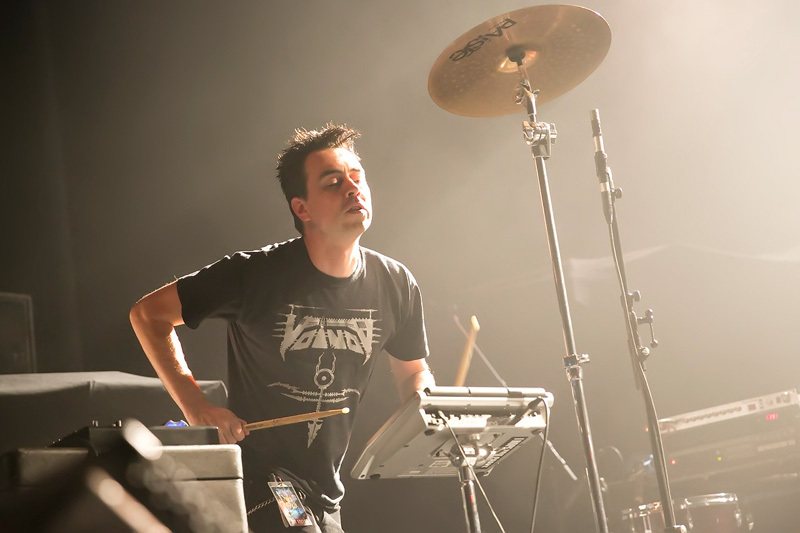 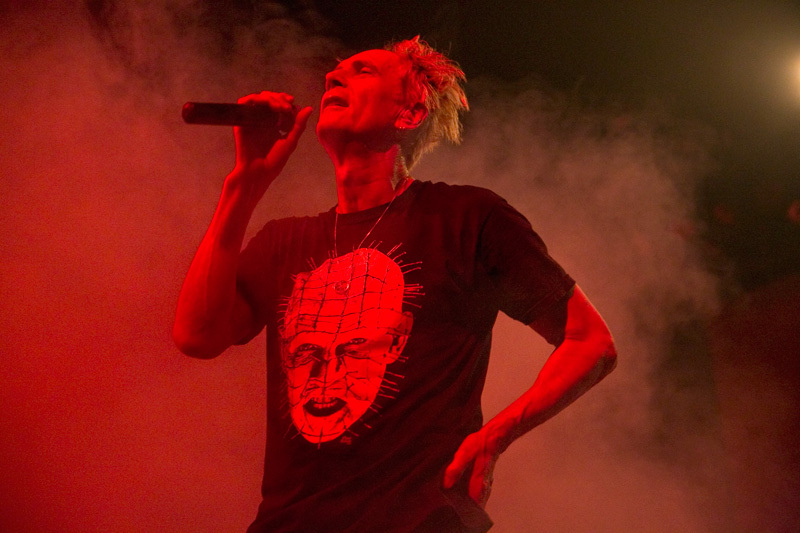 According to sources Front Line Assembly frontman Bill Leeb, once played with Skinny Puppy back in the 80s under the pseudonym Wilhelm Schroeder, and wanted to do aÂ Skinny Puppy/Front Line Assembly tour last year. 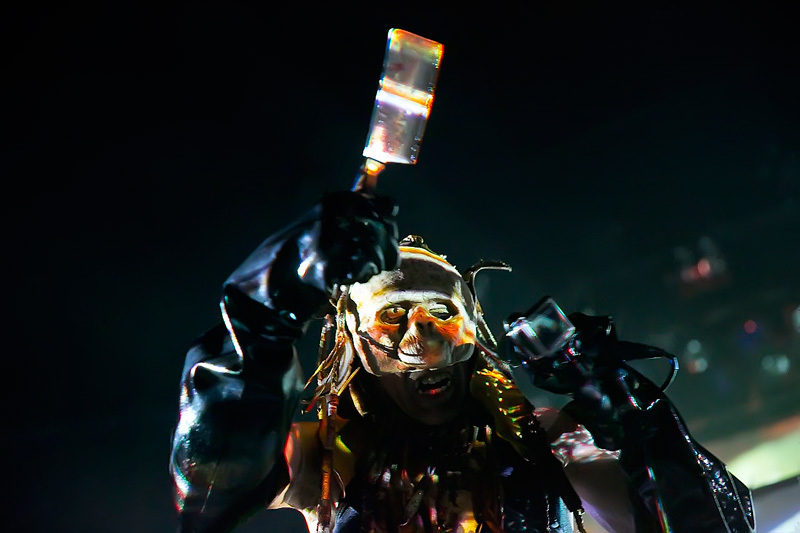 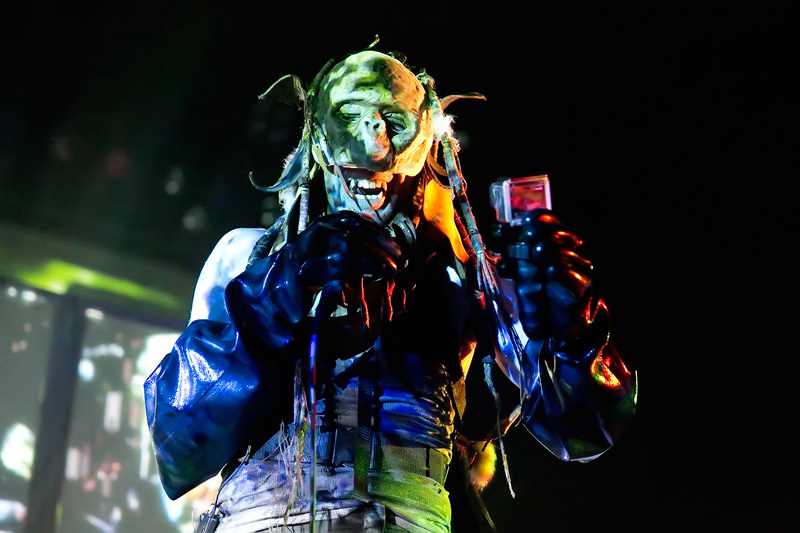 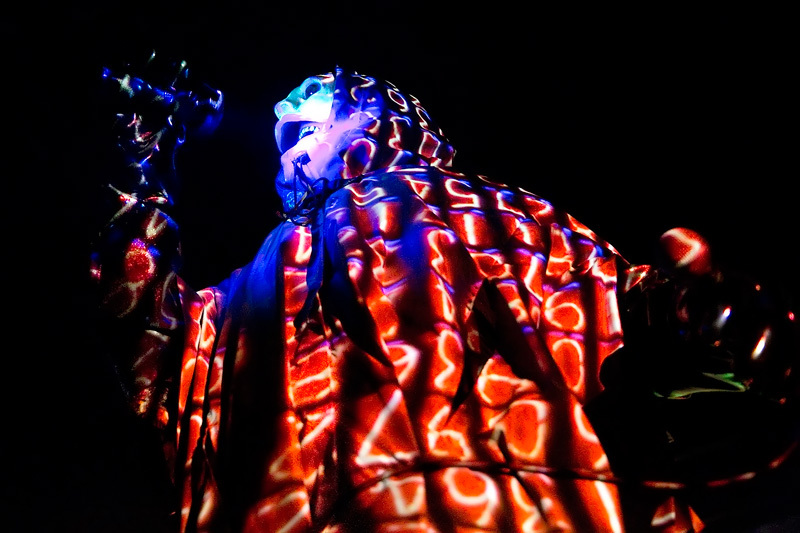 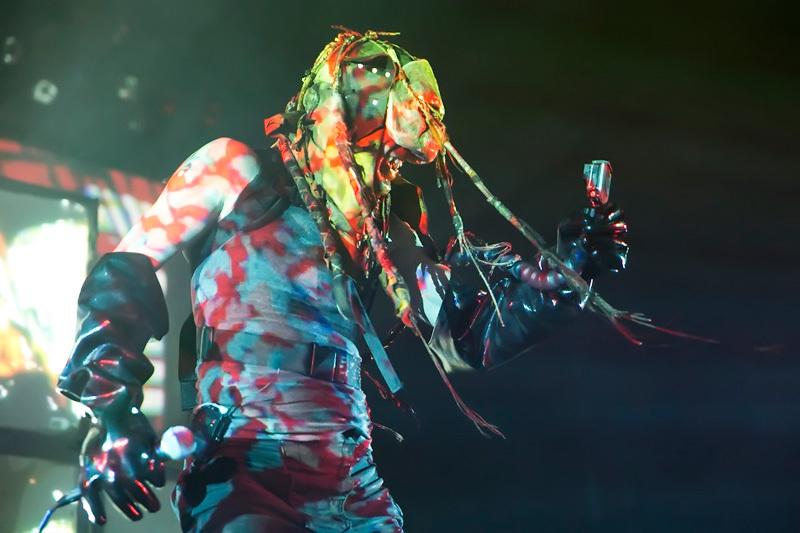 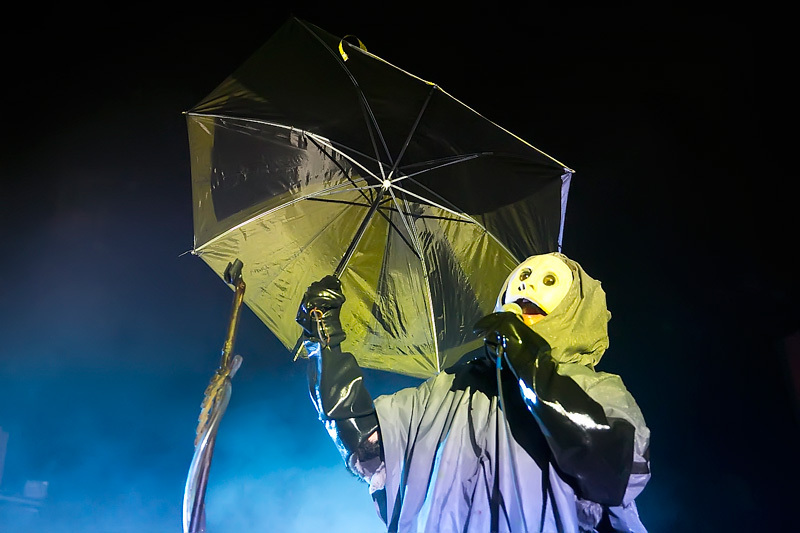 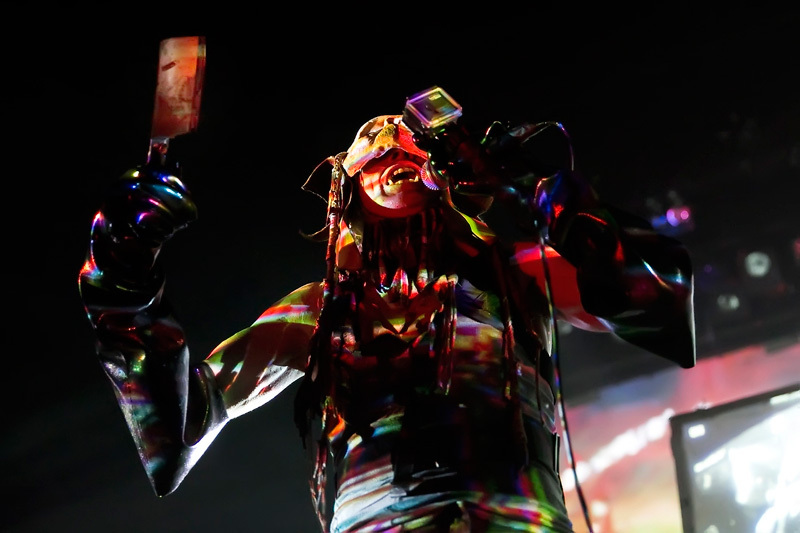 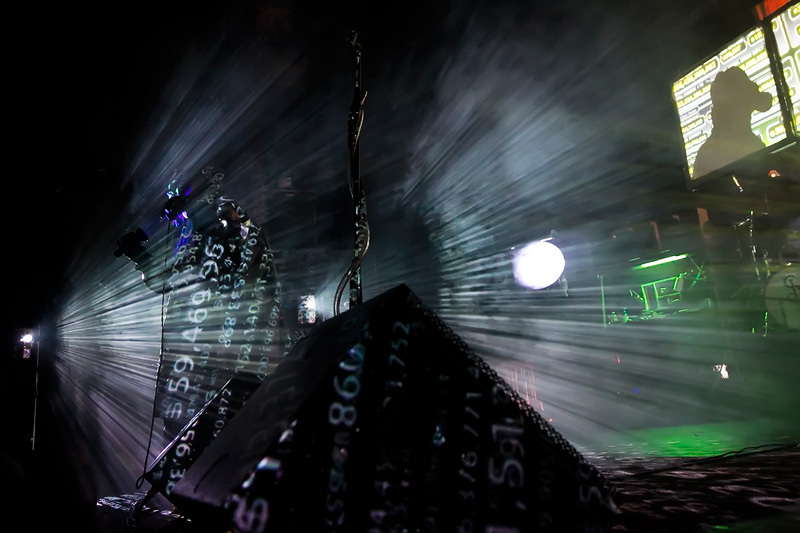 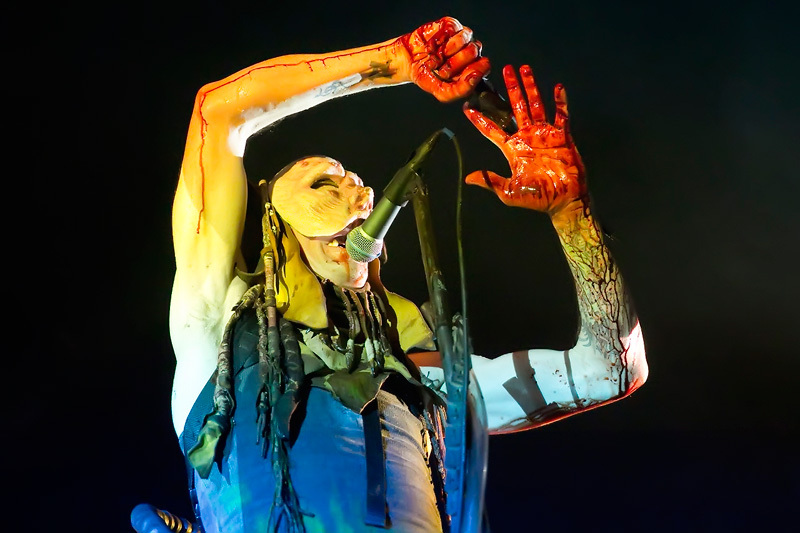 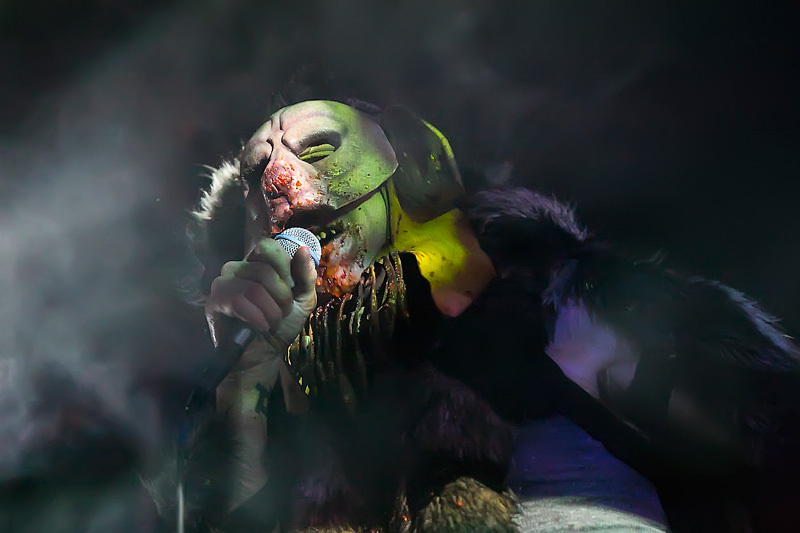 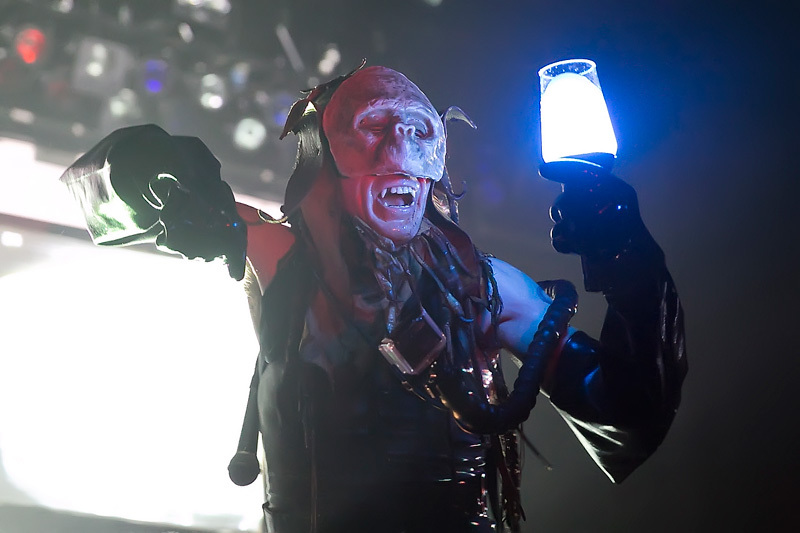 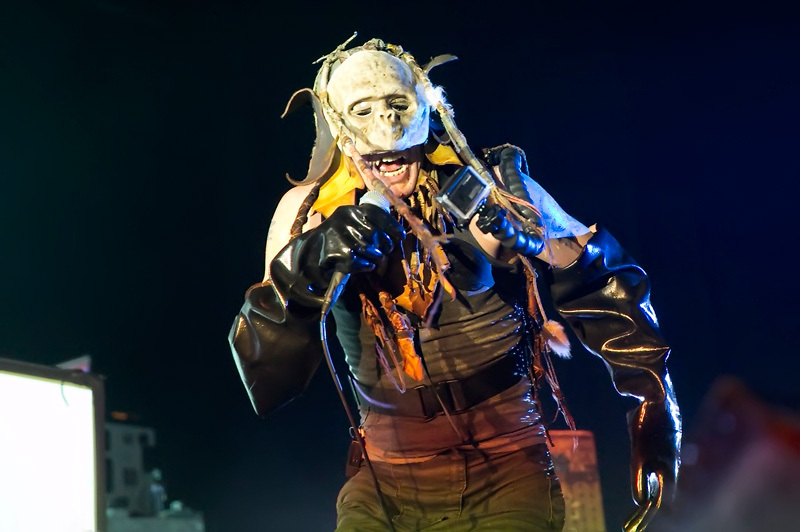 Skinny Puppy is touring in support of their latest album Weapon, Also the band made recent headlines fining the United States government $666,000 for use of their music as a form of torture at Guantanamo Bay prison. 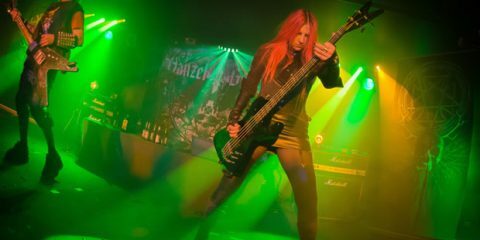 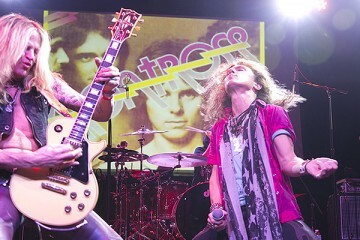 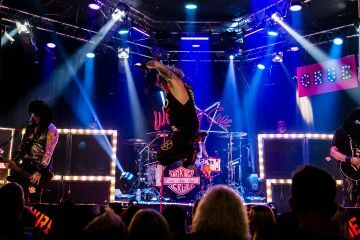 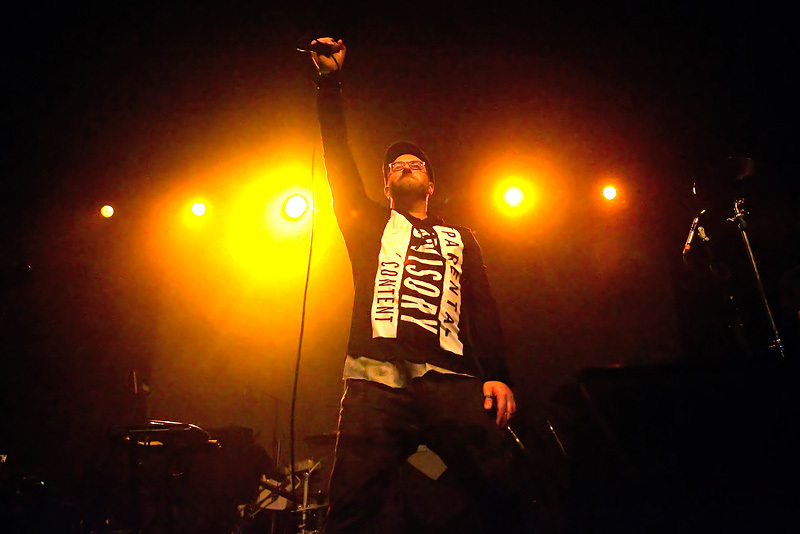 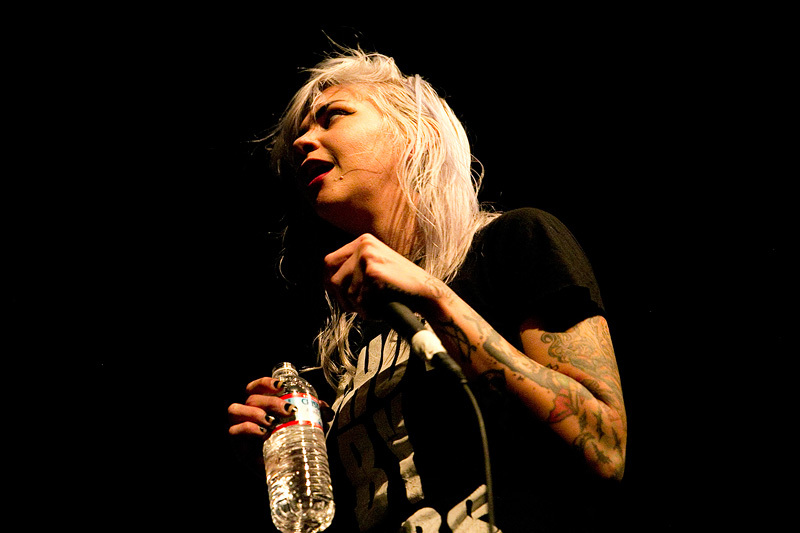 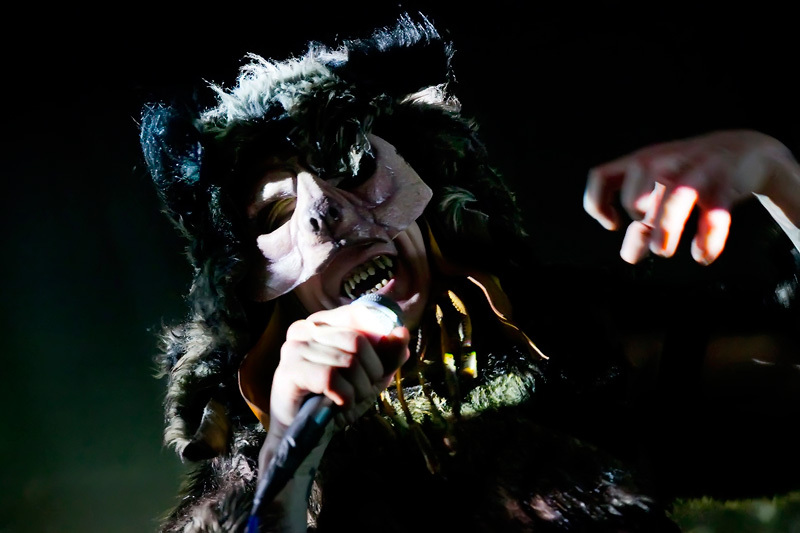 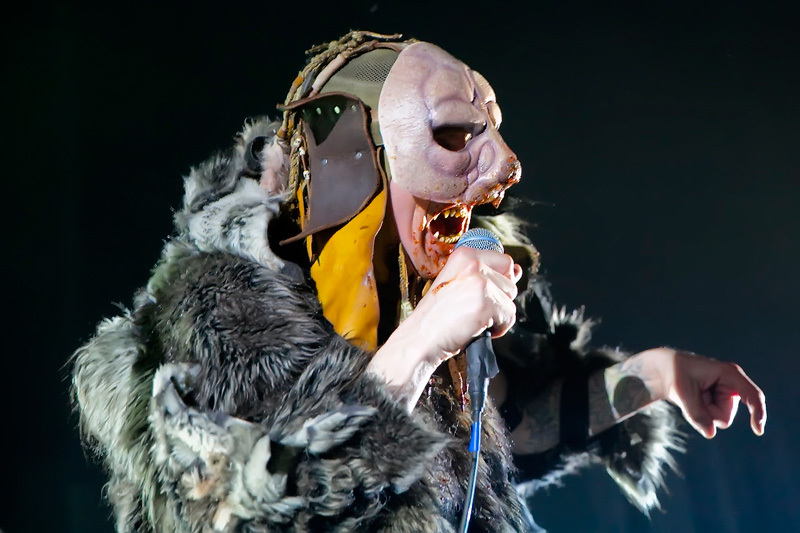 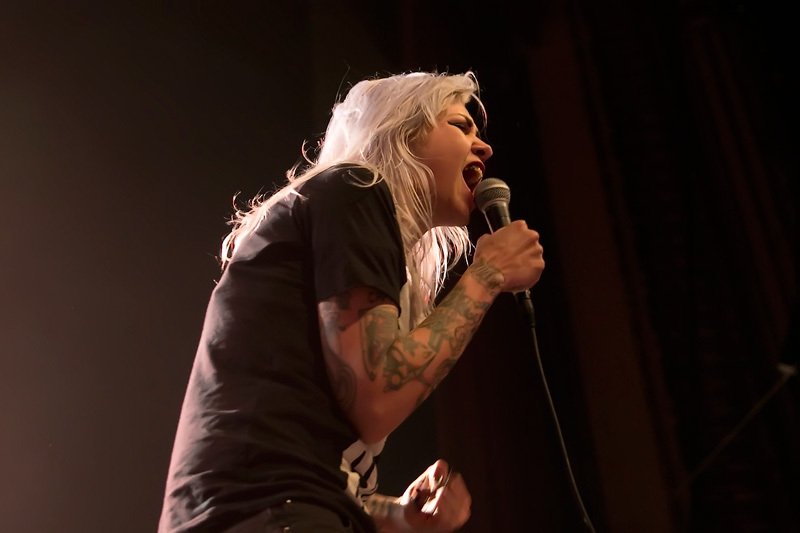 National Rock Reviews photographer Raymond Ahner captured the performance.